For directions how to get to Yorktown I can hardly improve on the NPS web page. 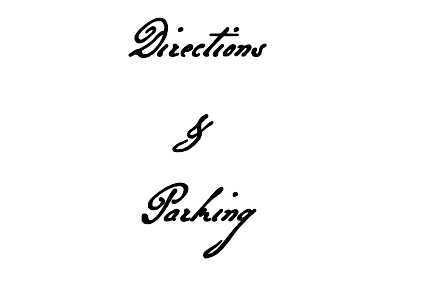 Reenactor parking will be in the Church Street lot, which runs between Read Street and Church Street. Reenactor parking with trailers will be at the Visitor Center parking lot. 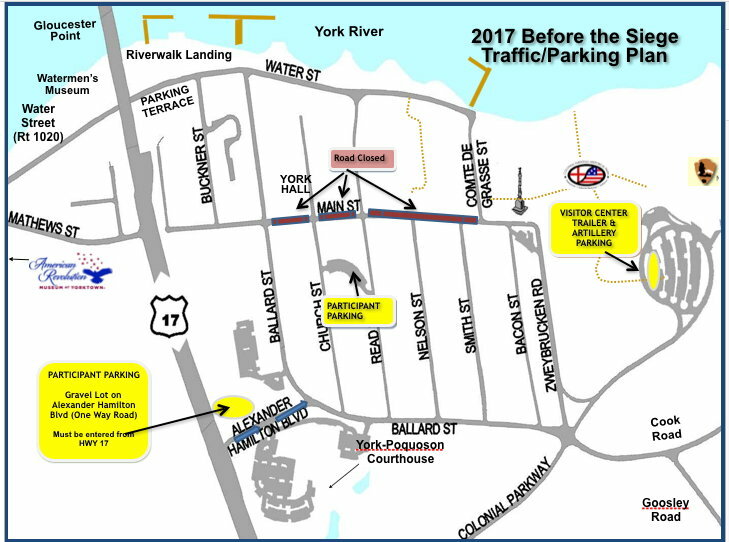 Overflow reenactor parking will be in the gravel parking lot on Alexander Hamilton Boulevard. All private vehicles must be off of Main Street by 8:45 a.m.
No overnight parking on Main Street!